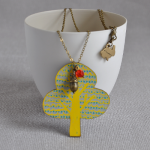 Flutter, flutter, what a lovely gift this yellow wooden butterfly necklace would make! 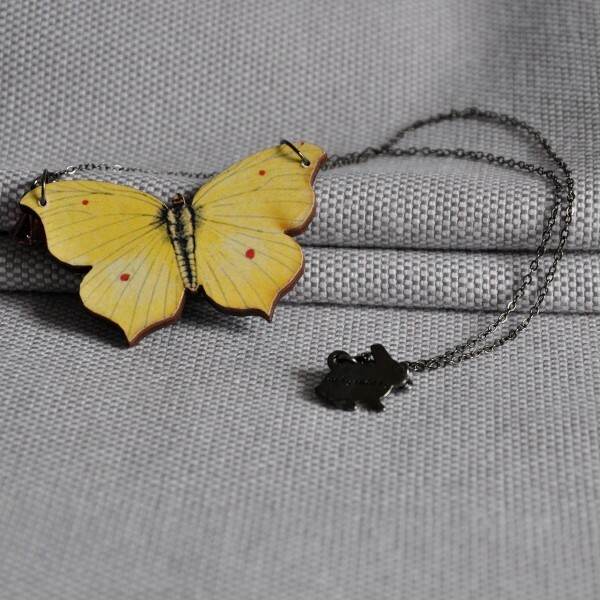 Intricate yellow wooden butterfly necklace, handmade and hung on a gunmetal chain with a Czech glass bead. 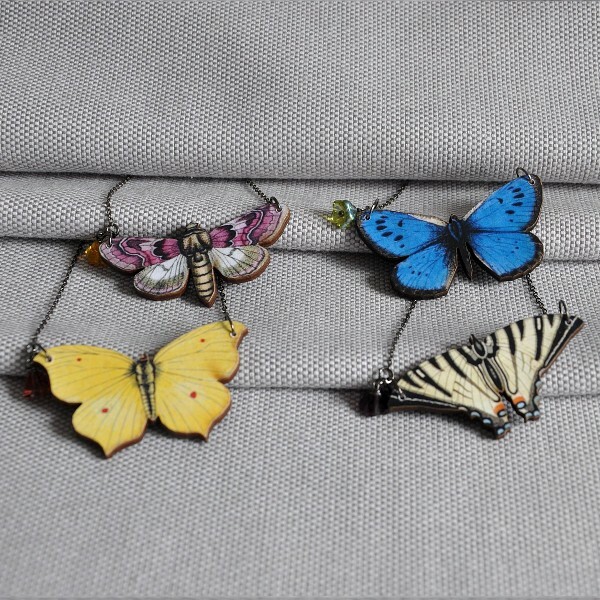 These beautiful butterfly necklaces are made from illustrated wood and hung on a gunmetal chain and clasp with a coloured Czech glass bead. 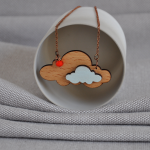 Each necklace is designed and made in the Dublin studio and comes packaged in a red box with a card that gives some about the maker. 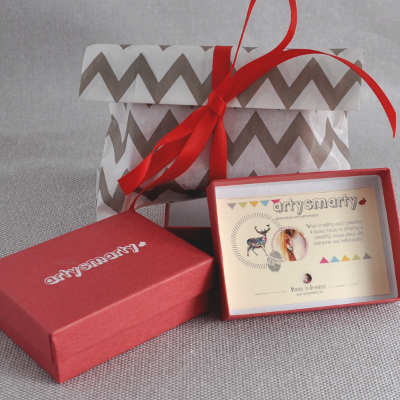 If you like we can wrap and include a gift tag with a personal message; just make a note at the checkout. Great gift for a butterfly fancier! 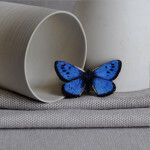 There are four butterflies available, blue, yellow and mauve; there are also brooches available in the same style. 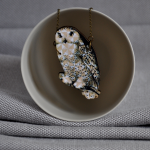 The butterflies are made from birch wood and papers with a sealant, the chain, clasp and findings are all made from gunmetal. 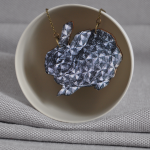 These necklaces are made from chain and findings that won’t tarnish but shouldn’t be submerged in water. The Czech glass bead is 6x8mm in size. 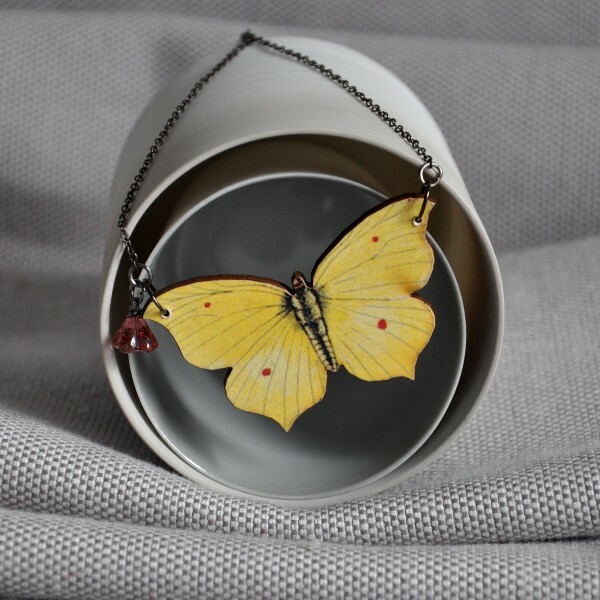 The butterfly measures 4cm x 5cm and the total necklace measures 45cm in length.